Southwest is going to have you itching to pack your bags today. It just rolled out a brand new flight search, and it's insanely easy to use, whether you know your destination or not. Know where you're going? Type in the exact city, and it will show the fare on a map. Have an idea of where you want to go but don't know the specific city? 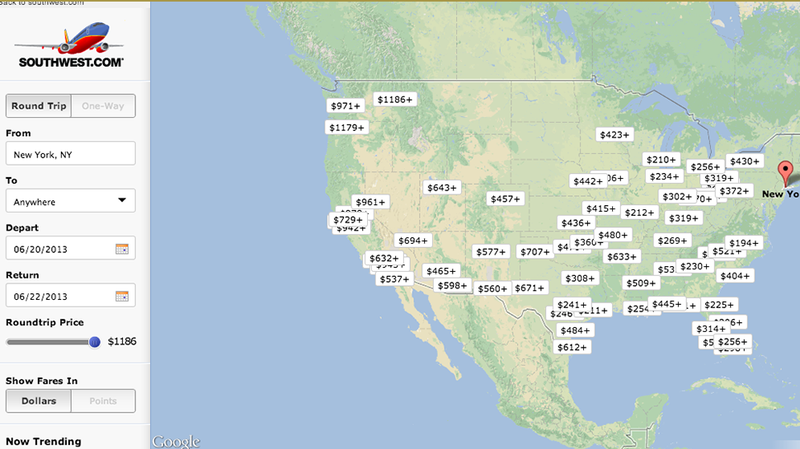 Pick a category like beach, nightlife, golf, family, or ski, and you'll see fares plotted out across the country. Or even, if you just want to get the hell out of town and you don't care what, you can search by date and see every single fare for the days you'd like to travel.